Festivus, a well-celebrated parody, has become a secular holiday celebrated on December 23 which serves as an alternative to participating in the pressures and commercialism of the Christmas holiday season. Originally a family tradition of scriptwriter Dan O'Keefe working on the American sitcom Seinfeld, the holiday entered popular culture after it was made the focus of a 1997 episode of the program. 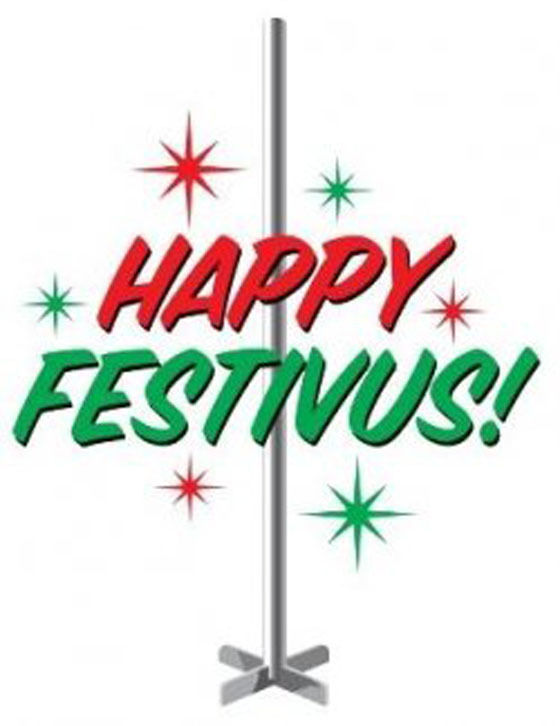 The holiday's celebration, as it was shown on Seinfeld, includes a Festivus dinner, an unadorned aluminum "Festivus pole," practices such as the "Airing of Grievances" and "Feats of Strength," and the labeling of easily explainable events as "Festivus miracles." "The tradition of Festivus begins... with the airing of grievances!"